We can exclusively reveal that Andrew Gould and Daniel Timson will be performing an exciting Pas de Deux at the 2009 British Open. Andrew and Daniel have been booked to perform an entertaining Pas de Deux performance on the Thursday and Friday night at the 2009 British ShowJumping Championships. 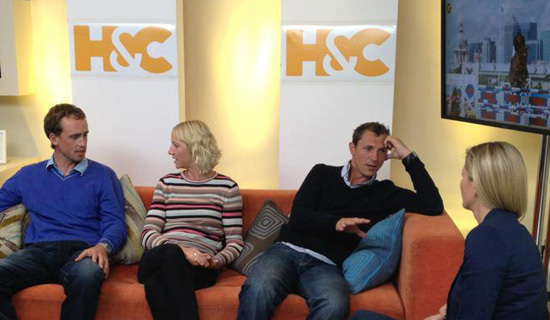 The performances will be on the evenings of Thursday 16th and Friday 17th April at the Birmingham NEC. As two of British Dressages, most popular male dressage riders they are sure to deliver a performance that demonstrates their sports athleticism, art and skill, but with a sense of fun and entertainment. 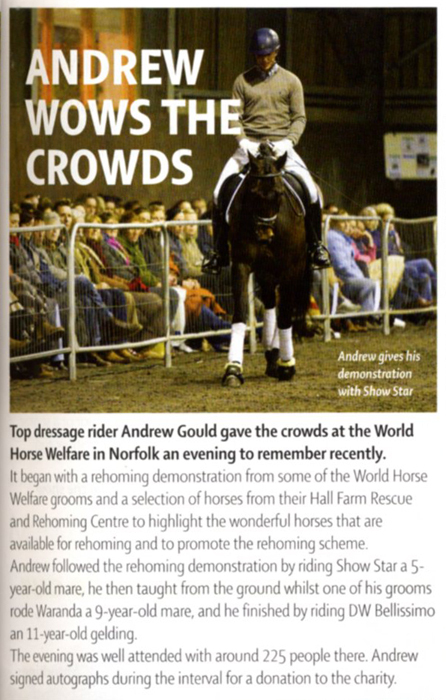 Following Andrew's success at choreographing and training Katie Price for her dressage performance at HOYS in 2008, the event organises approached Andrew to organise this display for the crowds of spectators at the British Open. Andrew and Daniel have already begun practicing together and deciding on the music that will get the crowds behind them. 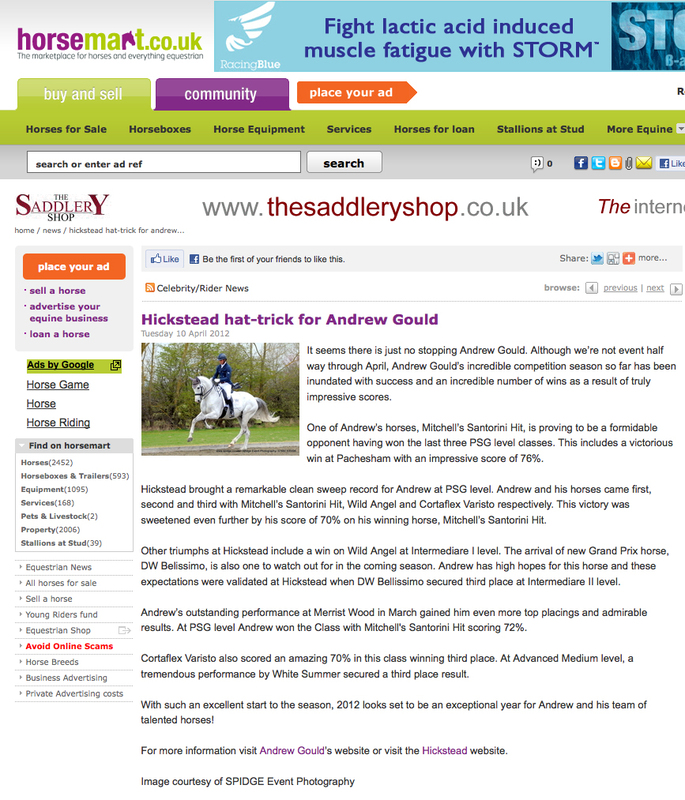 To find out more about the show and how you can get tickets go to www.britishopenshowjumping.com. Andrew completed his qualification for the Winter Regionals on Korenbloem Varisto the 6 year old chestnut stallion by Jazz. He won the Medium Open at South of England on Wednesday with a convincing win. 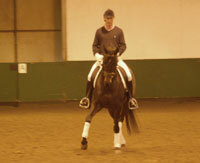 Andrew said: "It was the best trot work I have had in a test and I was so pleased with how he went. I am really looking forward to working on the more advanced work and getting him stronger over the winter and hope to have a good season on him next year. Its a horse I am so fond of and really have built up a great relationship with." 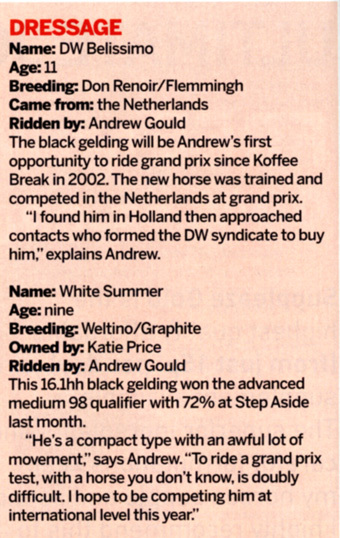 This now means Andrew has qualified the following horses for the Winter Regional Championships. 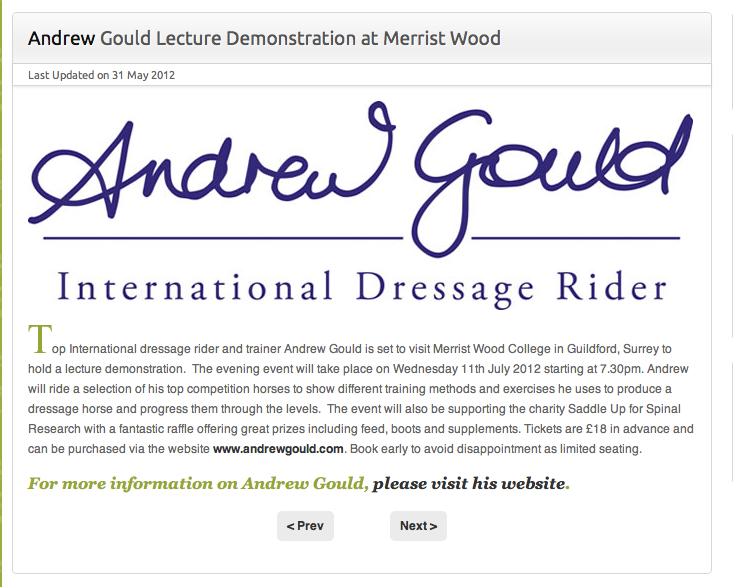 Andrew’s lecture demonstration at Priory Dressage was a great success. 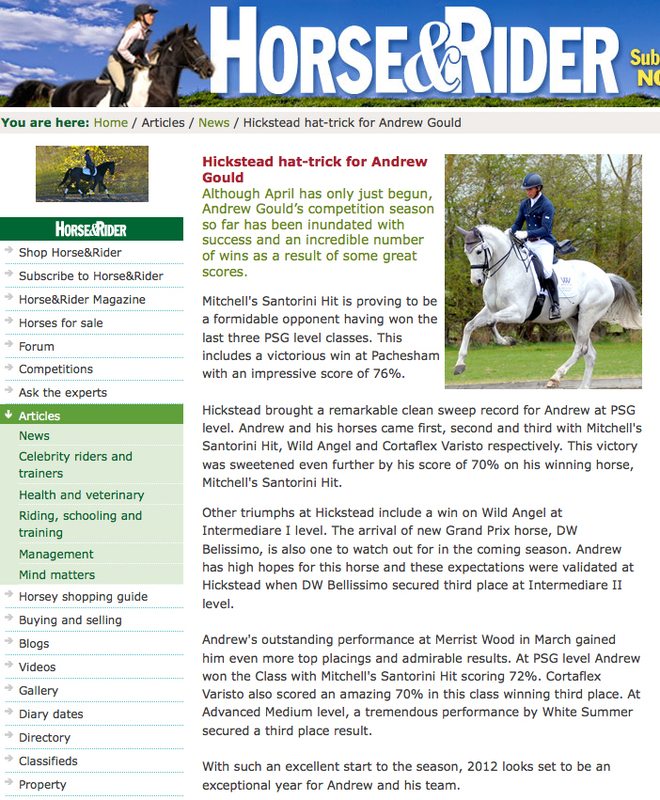 Andrew rode three of his most exciting young horses, demonstrating his training techniques and how he works with his young dressage horses. The Newlands Corner Riding Club event captivated a large audience who were interested to hear about each of the horse’s level of training and how Andrew works with them individually. 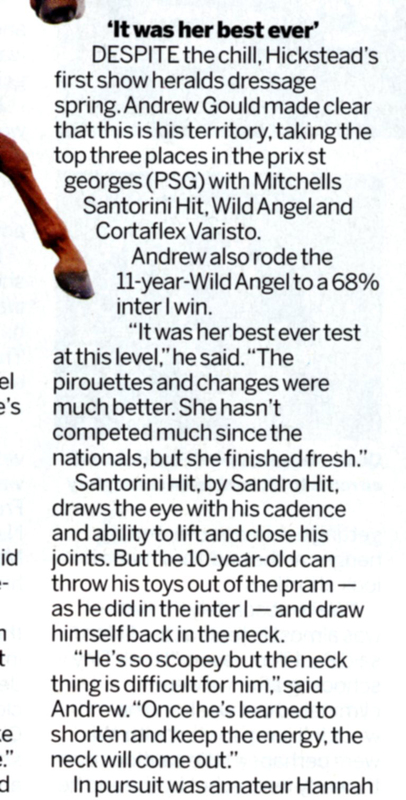 It was enthralling to learn about each horse’s personality and way of working and that Andrew practises varying exercises to reinforce different areas as each horse requires it. 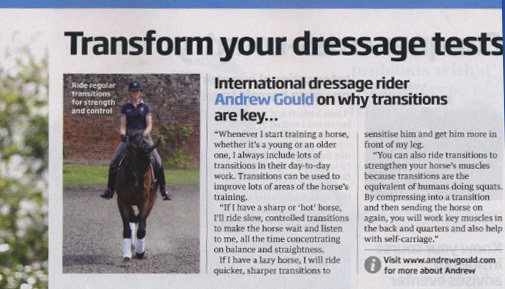 Many people left with hints and tips of how they can work with their own horses and use different techniques to aid their horse’s training. 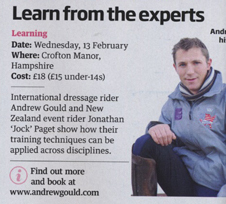 Andrew also answered lots of questions and enjoyed discussing dressage training and how he plans a young horse’s career.